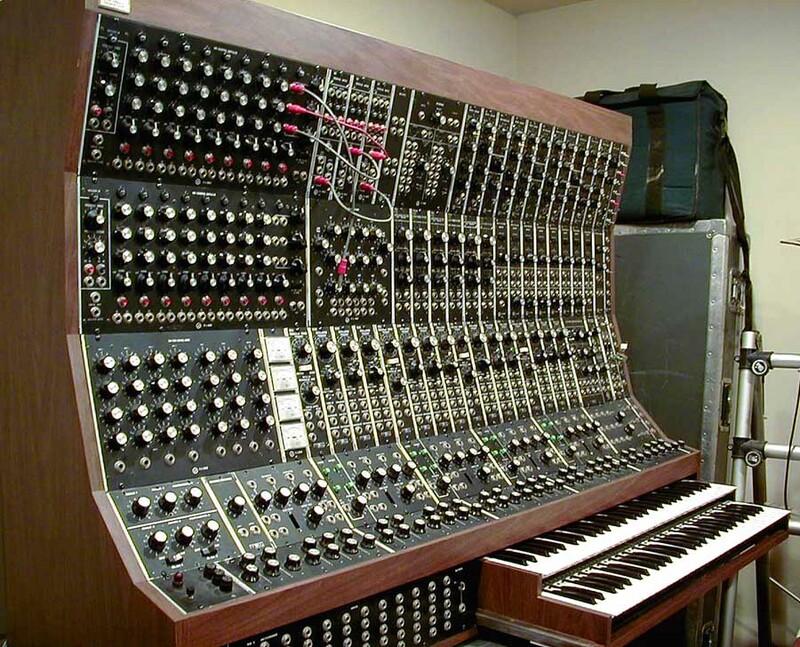 There is one aspect of the MOTM synthesizer line that is currently lacking: cabinetry. 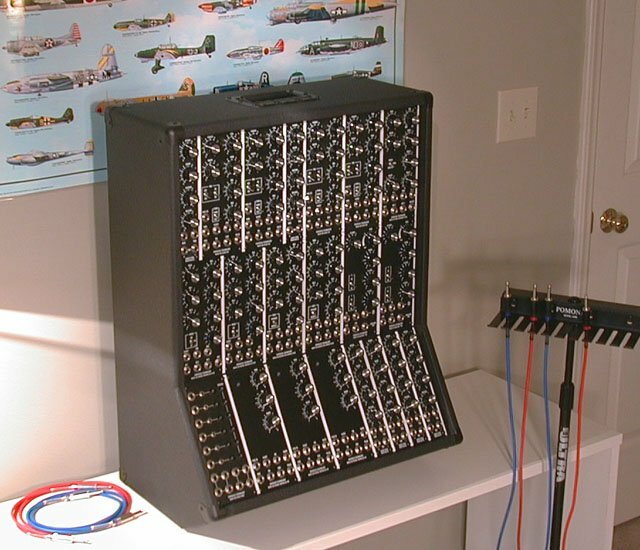 Since it is a modern synthesizer, it is offered with hardware to mount in standard racks. But suppose you are designing a large system, and want the look of a classic wooden cabinet? Currently, you must build your own. This page is not intended to be a tutorial on woodworking. Rather, I will talk about choosing the format for the cabinet (or cabinets) you build. There are several factors to consider. First ask yourself "How large will my system become?" 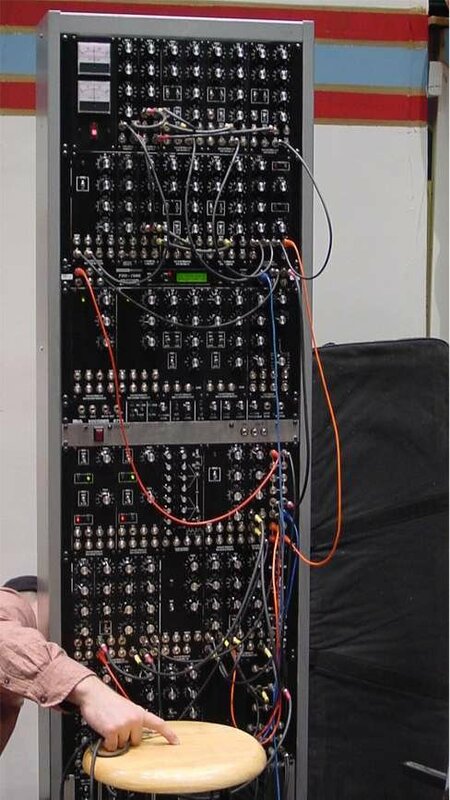 It is not always possible to clearly know this in advance, because building a modular synth is highly addictive. Still, make a guess. 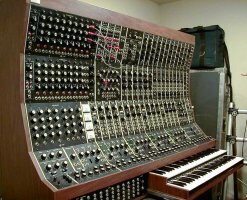 Another way to phrase this might be "How much room am I willing to devote to a modular synth?" Next, consider how gracefully your system will expand. If it will encompass more than one cabinet, how will it grow? Some case designs lend themselves to adding cabinets more than others. Also, it may not make sense to put everything into one giant cabinet when you are starting out with just a few modules - you may look at a mostly empty case for a long time as your system grows. If you build too small of a case, you'll have too many modules to fit into it by the time it's done (I have done this!) If your system will have multiple cases, you must decide on your power supply scheme - independent power supplies in every cabinet, or a centralized large supply distributed between cabinets. See my power supply page for more details on that topic. What are you going to do with this system? Is it for studio use only, thus moved seldom? Or will you be gigging with it? The MOTM modules are famed for their great feel and ergonomics. If you design a large system, how will you reach everything to patch it? 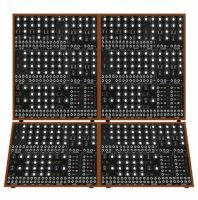 How long do the rows need to be to put all the modules together that you plan to install next to each other? You should draw LOTS of panel diagrams of your proposed system. Look at convenience of patch routing for common patches. Put commonly used resources like mults and mixers in central locations where they can be reached easily. These considerations end up influencing the width of rows and the number of columns in your case design. Advantages: Buy a rack, buy some rails, and you're done. Portable and roadworthy for gigging unless it grows too large. Disadvantages: Only 10U wide. Vertical format doesn't work well for large systems. Not particularly pretty. Advantages: Compact, handsome, ergonomic. Good for small to medium sized systems. Disadvantages: Cannot easily scale to large systems. Requires a decent degree of cabinetry skill to build. Advantages: Portable. Easy to build. Scales easily with extra side cabinets. Good for medium sized systems. Disadvantages: Will scale to large systems, but you may end up with lots of cabinets. 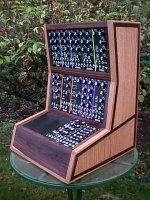 Ken Elhardt and Ken Tkacs have designed cases which add an ergonomic twist to the basic Moog 3P layout. I built this 26U x 10U case but outgrew it before it was ever used. Advantages: Holds a lot. Easy to build. Scales well with a second top cabinet. Good for medium to large sized systems. Disadvantages: Not very portable. Requires a larger power supply. Plain looking. Advantages: Holds a lot. Scales well with added upper cabinets. Classic look. Disadvantages: Not easily portable. Requires a larger power supply. 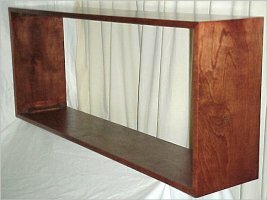 Angled bottom cabinet requires extra skill to build. Modules in top rows are a bit of a reach. Advantages: Holds a lot. Scales well with additional cabinets. Good for medium to large sized systems. Ergonomic top row access. Cool looking. 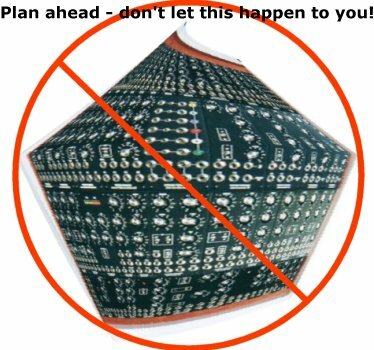 I chose this as the basis for my own case design. Disadvantages: Not easily portable. Requires a larger power supply. Hard to build.